Vacation from Cancer - The Retreat a place where cancer families to rest. 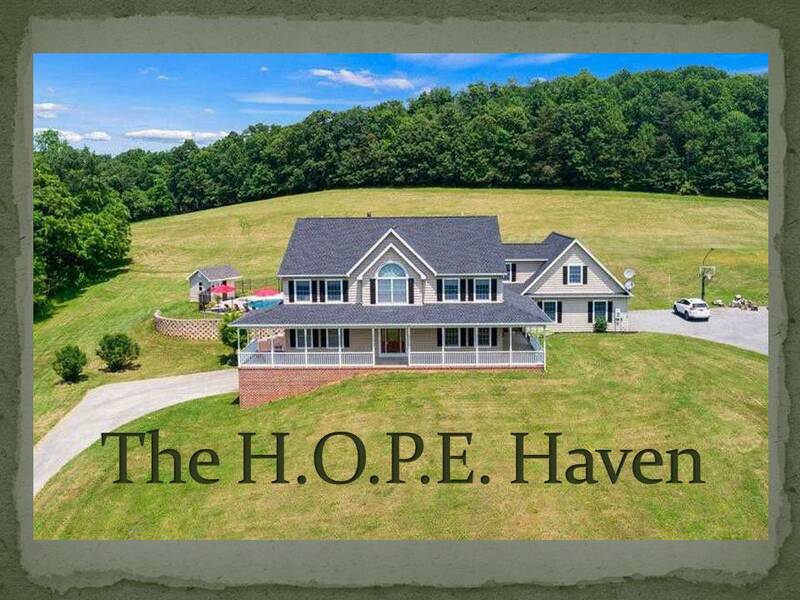 Imagine a place where cancer patients and their families can visit when the daily challenges of a cancer diagnosis become too much, a residence tucked between a forest and the rolling farmland of South-Central Pennsylvania. Imagine a retreat of peace and solitude, shaded walking paths, colorful gardens, and an enchanting main house for rest and relaxation. Such a place was the dream of H.O.P.E.’s late co-founder, Jeanette Cartwright, who asked Barb to promise to build a “Vacation from Cancer Retreat.” H.O.P.E. has established a planning committee and an investment fund to assist in bringing this dream to reality. We have all watched with tears in our eyes as a neighbor has reached out to help another in need. We, as part of the H.O.P.E. family, have been blessed through the kindness and generosity of others to share the cancer journey financially, spiritually and materially with hundreds through the 25 years we have had our doors open. The last step to fulfill the H.O.P.E. dream – THE RETREAT – has become a reality. A new door is about to be opened – but we need your help. For this beautiful facility to become fully functional, many items need to be purchased and much hard work needs to be put forth before the first patient spends one night basking in the joy of “The Home Away from Cancer”. Please help by reviewing our “Wish List” and purchasing one or several items that we will need to open the doors of H.O.P.E. Haven. CLICK ON THE PHOTO OF H.O.P.E. HAVEN TO VIEW LIST!